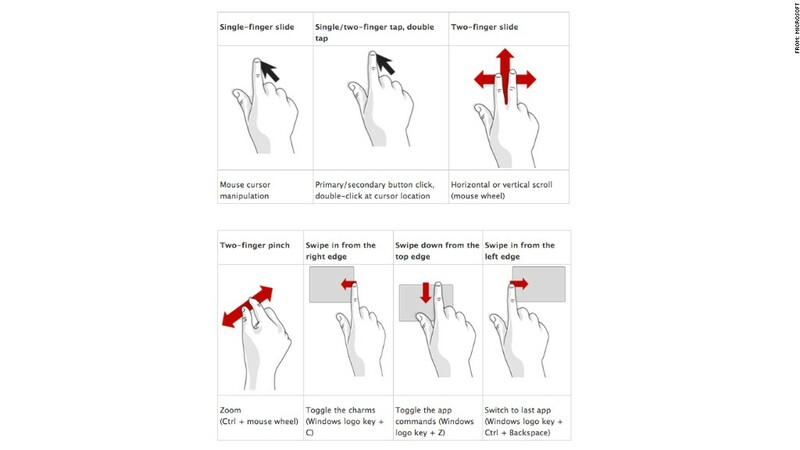 Microsoft detailed its new Windows 8 gestures and commands in a recent blog post. Microsoft's upcoming Windows 8 brings a batch of bold updates to the antiquated PC interface, with one big drawback: Users will have to learn how to use a PC all over again. The operating system introduces three new and essential gesture-based commands: swipe down, swipe left, and swipe right. They sound simple enough, but in practice, there's a learning curve in overcoming muscle memory. It's the biggest change to Windows since the advent of the "Start" button 17 years ago in Windows 95. Instead of the traditional desktop, Windows 8 boots to a Start screen filled with columns and rows of app tiles. 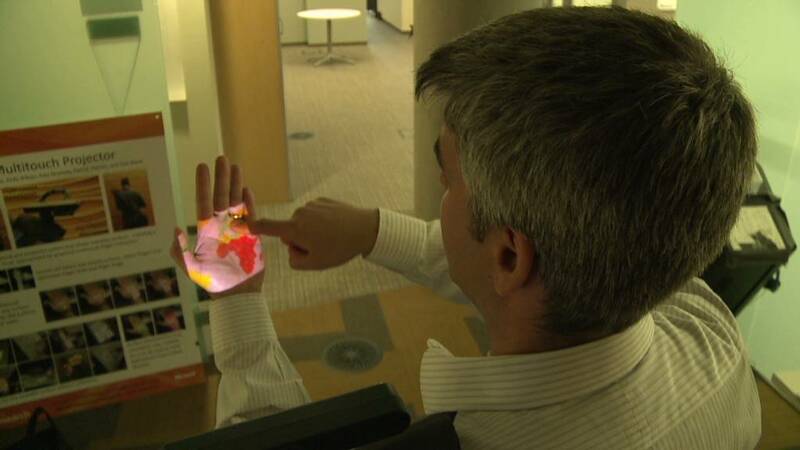 Those apps are controlled by the host of new gestures. The app's settings can be reached with a downwards swipe from the edge of the screen. Searching through an app and personalizing it can be controlled by a swipe in from the right. And switching to a previously opened app can be achieved by swiping in from the left. There are other gesture commands. For instance, dragging from top all the way to the bottom closes an app. Tile settings can be seen by "tickling" each tile -- giving it a short, quick drag down. Other movements allow users to multitask between apps or quickly access the computer's basic settings. A host of new Windows 8 touchscreen laptops and tablets are set to debut in October, when Microsoft's (MSFT) new operating system is scheduled to hit store shelves. The new commands aren't only for touchscreen PCs: Microsoft announced this week that it's working with touchpad mouse manufacturers to integrate those controls into laptops and mice as well. The new gestures will be hard to escape. Windows 8 works well with a traditional keyboard and mouse, but some of the new commands will still have to be learned. The mouse can be used for most of the new gestures, but for those who prefer to use the keyboard, new shortcuts are required to toggle between apps, change settings or close out of an app. Even the Windows key takes on a new role in Windows 8: It returns users to the Start screen. New commands aren't the only major change to Microsoft's flagship software. Windows 8 users will have to get used to two different versions of Internet Explorer (one for the Start screen and another for the desktop), a whole new method of finding applications (swiping up and choosing "all apps" replaces the start menu), and even different levels of sleep mode ("connected sleep" wakes up every so often to update your PC). Almost all of those are useful updates to a PC interface that really hasn't changed all that much in two decades -- but old habits die hard. Prepare to retrain your brain when you start using Windows 8.